If you are a senior and your home heater fails causing the temperature indoors to drop to an unsafe level, you need to get help. If you have a Personal Emergency Response System (PERS), also known as a medical alert system or help button, you can press the button to get help. 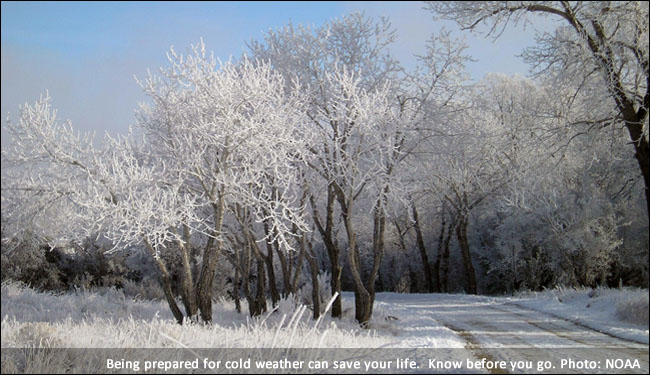 Being too cold can lead to a medical emergency – don’t be afraid to press that button. Your service’s emergency operator can call a local responder (family or friend who live nearby and can help you) or dispatch emergency help to your home. If you have a senior family member who lives in areas with extreme weather events such as the polar vortex, you should consider getting them a PERS. The seniors in my family use MobileHelp. I called to make sure they are wearing their button, that the heat is set appropriately and there is plenty of food in the house so they don’t have to venture out. Don’t forget to check up on your loved ones!